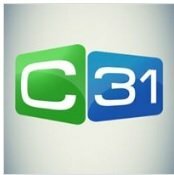 General TV Channel / C31 Melbourne is a free-to-air community television channel in Melbourne, Victoria, Australia. Its signal is transmitted from Mt. Dandenong and Como Centre, South Yarra, reaching much of the Greater Melbourne, Geelong and West Gippsland areas on free-to-air television. C31 broadcasts a vast array of locally produced content including news, sport, youth, arts, and entertainment programmes. The station also features a substantial amount of local multicultural programming, celebrating Melbourne's ethnic diversity. The station began broadcasting officially on 6 October 1994.